Robert McMahon’s area of specialization is the history of United States foreign relations, and he regularly teaches courses on U.S. foreign relations, the Cold War and Vietnam. 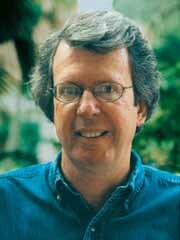 McMahon spent the 1999-2000 academic year as the Mary Ball Washington Professor of U.S. History at University College, Dublin through the Fulbright program. He served as the president of the Society for Historians of American Foreign Relations in 2001. One of his most recent books, The Limits of Empire: The United States and Southeast Asia Since World War II, analyzes U.S. policy in Southeast Asia and investigates how the experience of the Vietnam War led to a radical alteration in U.S. assessments of the region’s importance. He is also the author of Colonialism and Cold War: The United States and the Struggle for Indonesian Independence, 1945-49; Cold War on the Periphery: The United States, India, and Pakistan; and Major Problems in the History of the Vietnam War. McMahon is currently writing a compact history of the Cold War that will be published by Oxford University Press.